F SPORT 2, LIKE NEW, ONLY 21 410 KMS, RIOJA RED INT. 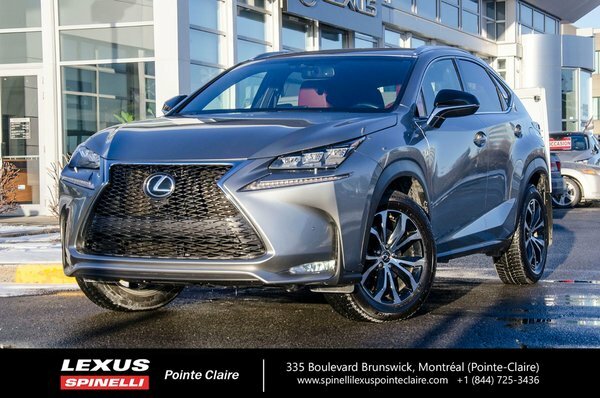 This super clean 2016 LEXUS NX 200T will arrive at Spinelli Lexus Pointe-Claire shortly. Never accidented. CARFAX vehicle history report is clean and without any incidents. ONLY 21 410 KMS! LIKE NEW! Purchased new and maintained at Spinelli Lexus Pointe-Claire. Beautiful color combination of Atomic Silver on Rioja Red leather interior. This is a well sought after equipment and color package for the NX 200T.